Hanoi (VNA) – Vietnam and the Philippines should develop a mechanism for anti-piracy cooperation in the future to ensure maritime security and safety, said Deputy Chief of the General Staff of the Vietnam People’s Army Senior Lieutenant General Pham Ngoc Minh. Minh made the statement at a reception on August 16 for Commander of the Philippine Navy Vice Admiral Ronald Joseph S.Mercado who was on a visit to Vietnam to strengthen bilateral ties between Vietnam and the Philippines in defence and navy and discuss collaboration between the two navies. 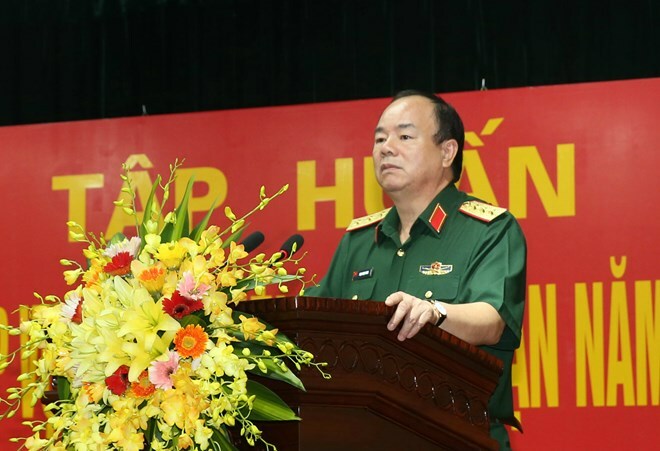 Speaking at the meeting, Senior Lieutenant General Minh expressed his delight at the development of the two countries’ relations in many areas, particularly defence. The bilateral ties between their naval forces have been deepened as they had established a hotline for better communications and effectively worked together in search and rescue at the sea, he added. Vice Admiral Ronald Joseph S.Mercado, for his part, stated the bilateral relations have seen good progress since as the two nations shared common interests and both pursued goals towards peace, stability, and security.